2. 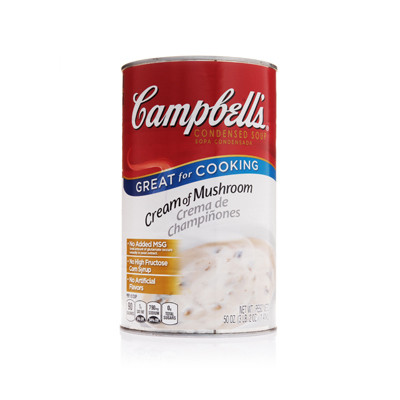 Add water and Campbells® Cream of Mushroom Condensed Soup. Bring to a boil. Reduce heat to a simmer for 3-5 minutes. 3. Blend the mixture. Slowly add in butter a few pieces at a time. 4. Add cheese and serve warm. This sauce can break if held too hot, so hold warm. To hold sauce warm, add boiling water to an insulated coffee urn, allow it to sit for 3 minutes, remove water and hold sauce inside. Infuse fresh herbs when reducing the wine to add more flavor. 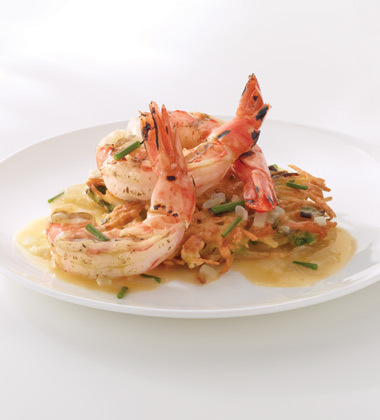 Substitute grated Parmesan cheese for Asiago for another delicious option. Great with seafood and fish. Also good with pork, chicken and pasta.